about how privatization is being advanced in the School District of Philadelphia as 2015 ends. In early October Superintendent William Hite announced that three neighborhood schools would be turned into Renaissance Charter. Those schools are Cooke in Logan, Wister in East Germantown, and Huey in West Philadelphia. The school communities were given no say in this. They were told their only choice would be which charter provider would be chosen. Hite learned last year that when parents have a real choice, they will reject being charterized. Teachers, parents and students fought to keep Steele Elementary in Nicetown and Munoz-Marin in North Philadelphia public; the parent vote was overwhelmingly against going charter. This time, he decided to impose this on parents through what turned out to be a very murky process. Teachers were shut out of the process altogether. The district set up an Evaluation Committee at each school and chose five parents to participate. That committee would make its recommendation to the district and the SRC on the future of the school. What the Hite administration actually did was set up meetings run by District staff to “inform” parents. Parents and teachers at all of the three schools were purposely misled as to the location and time of these meetings. For some reason, none of the meetings was held at the schools themselves. At Cooke, the parents had to become detectives to find the meeting. At Wister, community members showed up at the announced location only to find that the meeting was being held somewhere else. People piled into cars and raced over. Yes, seats were empty at the actual district location simply because they were deceived about the correct place. Are parents supposed to trust the people who deliberately lied to them about the location of a meeting to make an honest decision about the future of their children’s school? APPS member Coleman Poses presented testimony at the November School Reform Commission showing how inaccurate the District data was for Wister. An SRC staff member admitted to Coleman that they used the wrong school’s data for Wister. Despite being told about this mistaken data the District continues to sail ahead with turning Wister over to Mastery. December 17th brought another jam packed SRC meeting. It is not unusual for the SRC to change the rules to suit its current agenda, and that is exactly what happened even as people entered the building. Bags of all attendees were searched, but apparently not to prevent dangerous items from being brought in. All food items were confiscated and thrown away. No explanation and no remorse—just into the trash can. No one was warned or advised ahead of time. It didn’t matter that those food items were to sustain members of the public coming right from work, coming with children, or coming with medical issues. Of course, the SRC had no notice posted on its website that food is not permitted. How would anyone know when the SRC members themselves eat and drink in full view? Present was a large showing of charter school proponents, most there to demand that the SRC hand Wister over to Mastery, who provided dinner and tee shirts. In fact, the district gave them access to the café inside the building. This sent a clear message to public school parents that the churn and disruption which can rip neighborhoods apart would not only continue but be enabled by the district itself. At George Washington High School, an already volatile situation escalated when a teacher was viciously attacked by students earlier this month. In schools across the district, many students have yet to be assigned a full-time teacher. 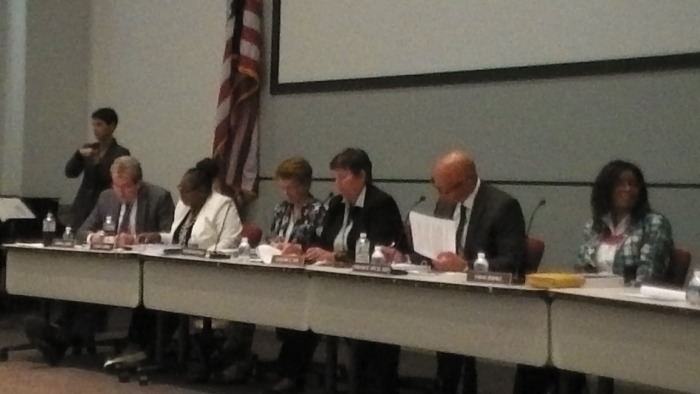 The School Reform Commission approved a $34 million contract to outsource substitutes, and although the year began with an 11 percent fill rate and has yet to exceed 30 percent, the SRC has refused to cancel that contract. A recent Philadelphia Public School Notebook article told the story of one Northeast High student who carries a seven-subject roster but, as of last month, has only three full-time teachers. Students have been assigned report card grades for classes in which they have learned very little, if anything. Not surprisingly, disciplinary problems have increased significantly. Teachers covering classes lose their daily preparation period and must use their own personal time to prepare lessons, mark papers, call parents and consult with staff. The bare-bones budget — once a crisis, now the new normal — has forced them to take on many roles including nurse, counselor and custodian. Yet the SRC continues to threaten them with the loss of their contract and with it all workplace protections. Click the picture to view each video individually. Video of APPS member Karel Kilimnik testifying at the Philadelphia School Reform Commission meeting – December 17, 2015. The last part of Karel’s testimony was cut off due to the three minute time limit. Video of APPS supporter Robin Lowry testifying at the Philadelphia School Reform Commission meeting – December 17, 2015. The full transcript of Robin’s testimony. 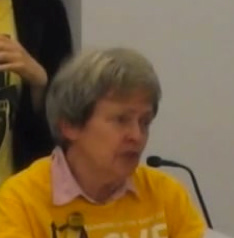 Video of APPS member Diane Payne testifying at the Philadelphia School Reform Commission meeting – December 17, 2015. 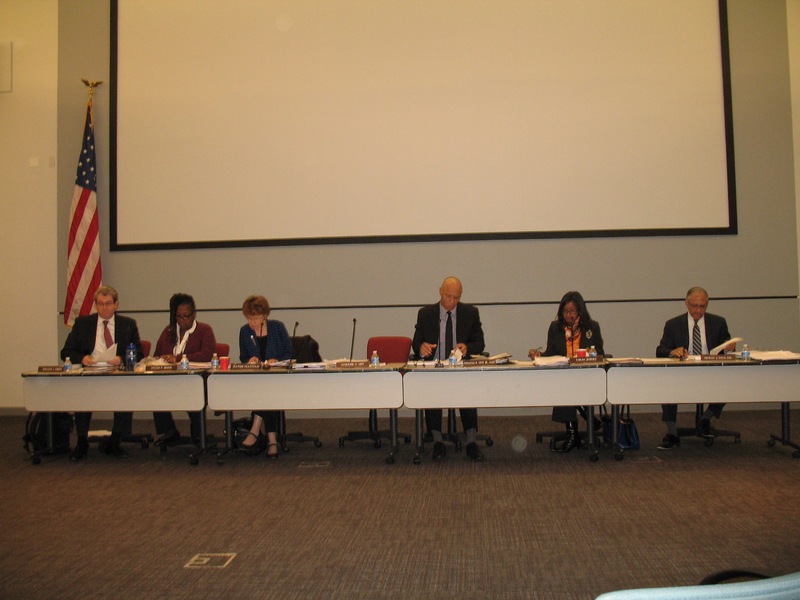 Video of APPS member Barbara Dowdall testifying at the Philadelphia School Reform Commission meeting – December 17, 2015. Video of APPS member Coleman Poses testifying at the Philadelphia School Reform Commission meeting – December 17, 2015. The transcript includes the slides Coleman is speaking about in his SRC testimony. 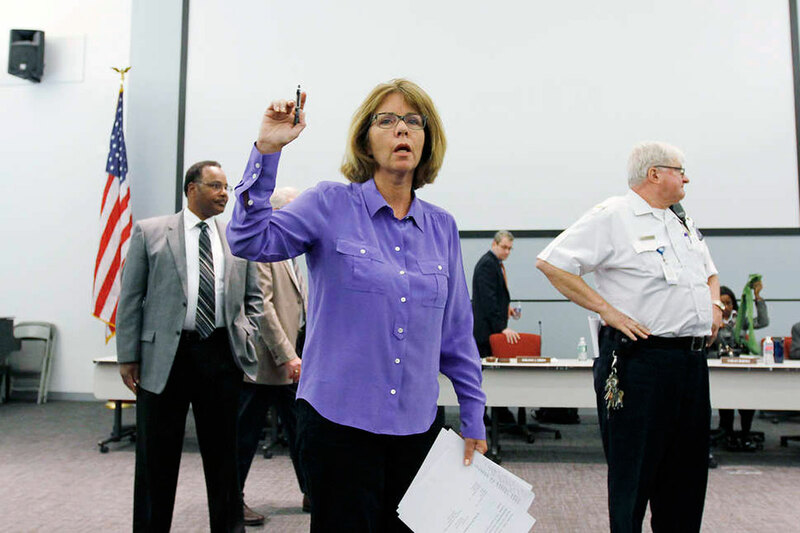 Video of APPS member Lisa Haver testifying at the Philadelphia School Reform Commission meeting – December 17, 2015.